Questions continue to mount over the science behind years of studies that say humans are chiefly to blame for global warming. But reflecting a trend that has been going on for more than a year, just 35% of U.S. voters now believe global warming is caused primarily by human activity. The latest Rasmussen Reports national telephone survey finds that 47% think long-term planetary trends are mostly to blame, down three points from the previous survey in January. Eight percent say there is some other reason, and 10% aren’t sure. 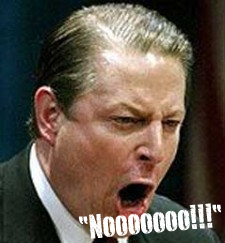 But 56% say President Obama still believes that human activity is the main cause of global warming. That’s the highest finding on that question since last March.The president went to a United Nations summit in Copenhagen in December in hopes of reaching an international agreement that would limit human activities that some scientists say contribute to global warming.